There are lots of out of school activities on offer in our local area. Here are some good ones we have tried. 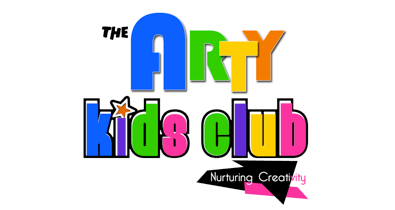 The Arty Kids Club�is a brand new arts and crafts kids club coming to Ewell Village. It is a fun-packed, four-hour Saturday session to let your child explore and nurture their own creativity. At�The Arty Kids Club�we love to make and create. We have weekly seasonal themes that allow children to learn and understand the world around them in a creative way, while also making friends in a safe and friendly environment. Each week the children get the opportunity to create and make using a variety of different materials and resources. Artwork created from every session is for the child to keep and treasure. The Arty Kids Club�is an all-female team with expansive knowledge and experience. All�The Arty Kids Club�staff have up-to-date CRB checks and have considerable experience/qualifications for working with children. The staff undergo regular training in order to improve their level of service and care, so rest assured that each child is in safe hands. The Arty Kids Club�was founded by Cheryl-Jamie Knock, a creative graduate with extensive experience in the children's and young people’s sector. Cheryl noticed that many children don’t get a chance to show off their creativity within our technologically-advanced society. Technology has taken over and�The Arty Kids Club�aims to bring it back to basics, enabling children to get messy, nurture their creativity, make friends and feel proud of what they have achieved. Cheryl has a degree in Fashion Design as well as widespread knowledge of art and textiles. She holds a Level 2 Certificate: Working in the children’s and young people’s workforce and also a current Children’s First Aid Certificate. Cheryl has worked with a variety of children between the ages of 3-16, in nurseries, scout groups and play schemes as well as having specialist knowledge and experience with special needs children and adults in California. Let�The Arty Kids Club�clean up the mess so you don't have to! (Please remember to bring a packed lunch). The children are split in to three age groups, 5-7, 7-9, 9-11. The Arty Kids Club�will be running every Saturday from 11am-3pm and caters for children aged 5-11. Upon joining each child gets their own personalised scrapbook for 2D art as well as their own art box for their 3D artwork. Included: Juice and water will always be available as well as a complimentary snack at the end of the day. All materials are provided and children are able to take ALL their artwork home at the end of the day.